Looking for a luxury apartment in Brookline, Massachusetts? 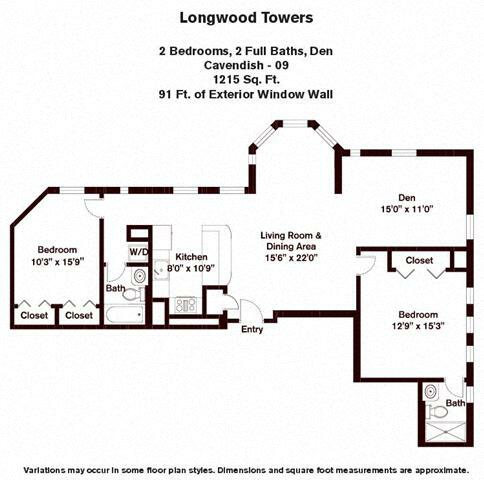 Longwood Towers has a rich history. Built in 1924, it originally served as one of the most prestigious residential hotels in the area and was home to sports legend Babe Ruth among other such notables. The Gothic-style brick tower has since been transformed into these Brookline MA luxury apartments in keeping with their distinct architectural heritage. You know you’ve arrived the moment you step into the grand lobby. Everything that can be seen or touched in these apartments is brand new. 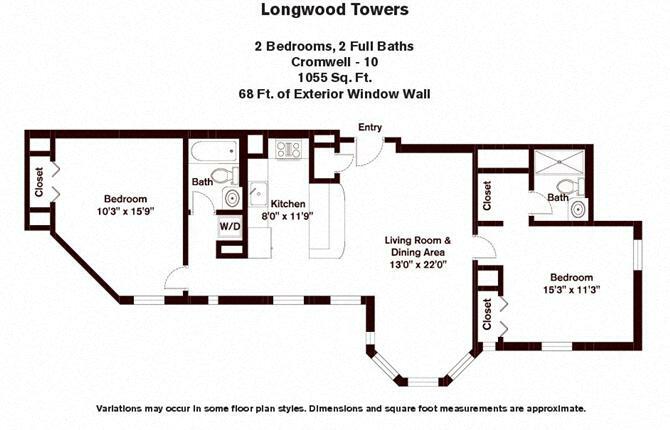 Whether you’re looking for a studio, one or two bedroom apartment for rent in Brookline MA, Longwood Towers is sure to please. With brand new GE Profile stainless steel appliances, washers and dryers, bay windows, and central air conditioning, each luxury apartment is backed with a 24- hour maintenance response and 30 day customer service guarantee. You’ll also have access to complimentary valet parking and round-the-clock concierge. What’s more, you can pay rent for your apartment online. These luxury Brookline, MA apartments are situated across from the Green Line and feature a fitness center with the latest equipment, community room with billiards table, and business center. 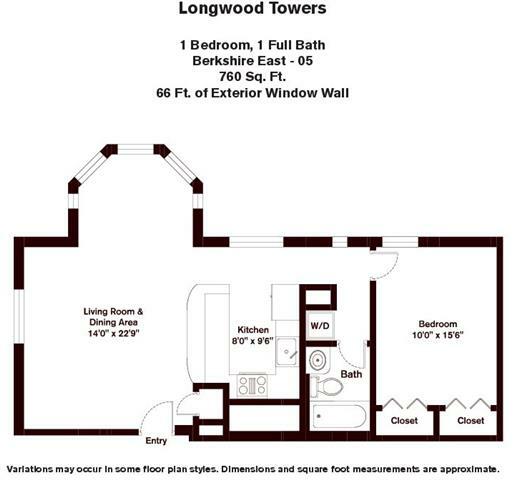 Make yourself at home at Longwood Towers apartments in Brookline MA. Before Alden Tower was purchased by Chestnut Hill Realty and completely renovated inside, the other two towers were sold as condominiums. After purchasing Alden Tower in 2009, Chestnut Hill Realty embarked on a complete renovation of the apartment units, including reconfiguring the floor plans and installing new walls, floors, fixtures, appliances - - everything that can be seen or touched is brand new. By renovating the units in Longwood Towers, we are able to offer residents an apartment lifestyle unlike any other in the Brookline area. We now offer unfurnished studio, 1 and 2 bedroom apartments, and fully furnished short-term options. Ideally located in a beautiful residential neighborhood within steps of the Green Line T stop and the Longwood Medical Area, you can be close to work and play. 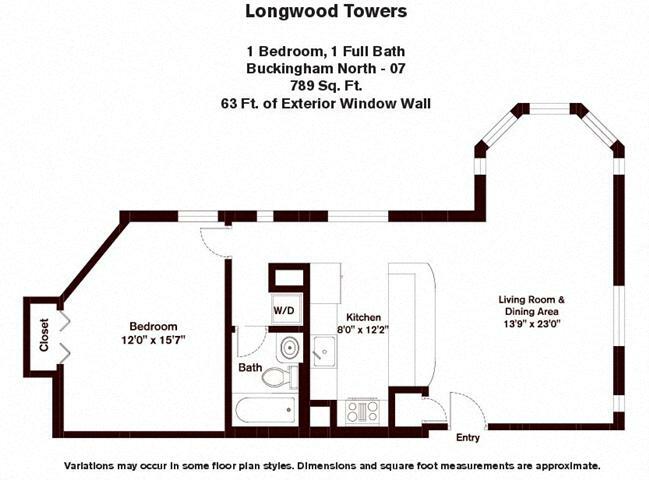 And, because of it’s easy access to the best Brookline has to offer, Longwood Towers rated 89 out of 100 with WalkScore, an independent national survey that rates walkability in regards to a property’s convenience and access to local amenities. The areas surrounding Longwood Towers are some of the most coveted and scenic in Greater Boston, with shady trees and rolling greens dotting the grounds of this luxury apartment residence in Brookline, MA. While the apartments at Longwood Towers in Brookline, MA, are already desirable and popular due to to their superlative location, freshly updated apartments, and host of amenities and services, we're committed to raising the bar. 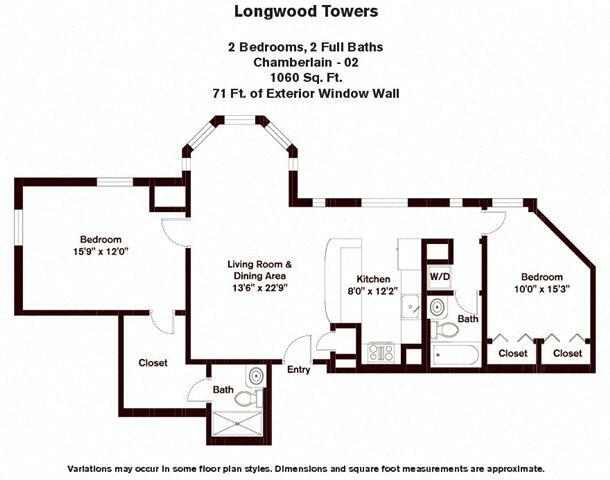 All of our apartment homes at Longwood Towers come with a 24 hour maintenance response guarantee. If there is a problem, we’ll address it within 24 hours. Guaranteed. We're also committed to green living and helping to preserve the planet for future generations. Many apartment companies choose to ignore green options in favor of easier ones, but we're dedicated to making sure that all of our homes are as environmentally friendly as possible, from the light and water fixtures to the Profile Energy Star appliances in our luxury Brookline, MA, apartments. 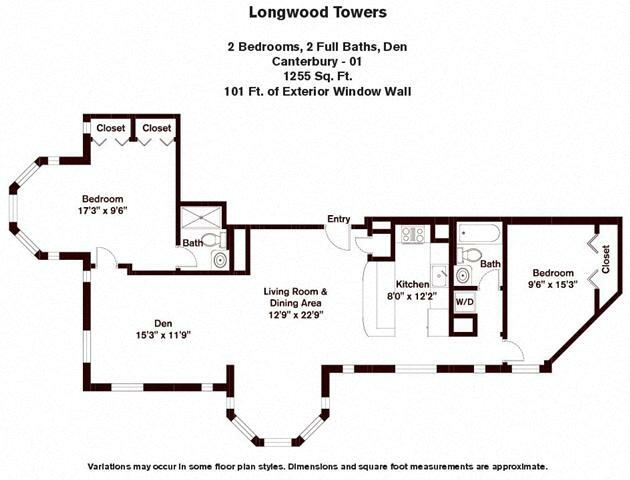 The residences at Longwood Towers are truly unique and a perfect blend of old world style, personalized service and modern convenience. They represent something truly special among the apartments for rent in Brookline. Take a look and you’ll soon see why. What's near Longwood Towers Apartments! You will never lack for something to see and do when you decide to seek an apartment for rent in Brookline, MA. Brookline is a desirable community with extensive amenities and local attractions. In apartments in Brookline, MA, you will enjoy the quiet serenity of residential suburban living in beautiful surroundings, knowing that all the excitement of Providence and Boston are less than half an hour from your door. Chestnut Hill Realty’s Brookline communities are centrally located to the Mass Pike and Route 9, as well as many public transit services. With a Walk Score rating of 92 out of 100, your new Brookline, MA apartment home also offers you the option to walk to many chic and trendy upscale local eateries, shopping centers, and cultural venues, as well as visiting some of the area’s many extensive nearby parks. 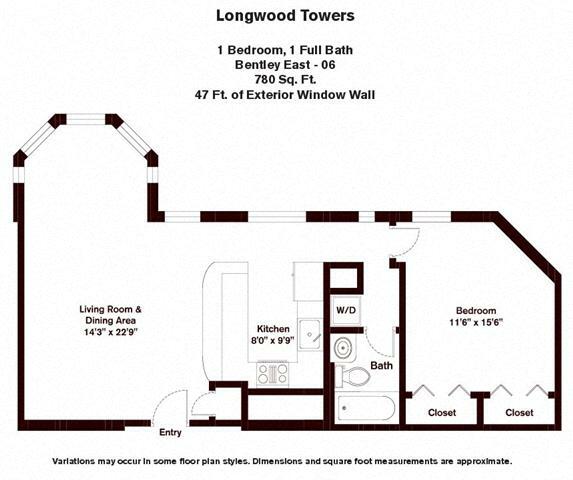 Longwood Towers was the perfect place for me and my wife. Our apartment was quiet and the heating and air conditioning were very comfortable during the winter and the summer. The 24-hour concierge service was always very good in coordinating our maintenance requirements, receiving our packages and arranging for taxi service. The maintenance team was outstanding and punctual in responding to our periodic maintenance requests. With a “T” stop immediately across the street, we didn’t need a car. We could travel to the airport and other locations in Boston with ease. Fenway Park is an easy 13 minute walk from Longwood. The kitchen is a cook's delight -amazingly complete. The location is convenient to shops, restaurants, theatres and museums. The buildings' grounds and gardens are beautiful and access to walking and biking in the Emerald Necklace is definitely the "best of Boston." The staff is gracious and helpful and the concierge services are a luxury we truly enjoy. We love the look and feel of this restored building and enjoy living in a piece of Boston/Brookline history.